It's Day 4 of the five days of Christmas and today we are making a gift card holder. He is soooo adorable and the giftcardholder is my to go to!!! Oh My Goodness What a Super Adorable Gift Card Holder!!! Love the papers and your Gingerbread dude he is sooooo ca-ute!! You so did a Super Outstanding Creative job!! YOU so ROCK!! Adorable!, Love the paper and the little gingerbread boy! Super cute!!! That paper is perfect with your gingerbread boy! SUPER sweet! I love the cute gingerbread & sentiment too! What a festive and cute gift card holder. Pretty paper, great embellishments and wonderful job coloring your adorable ginger! Great gift card holder. So sweet. I like your choice of papers. Darling gift card holder! 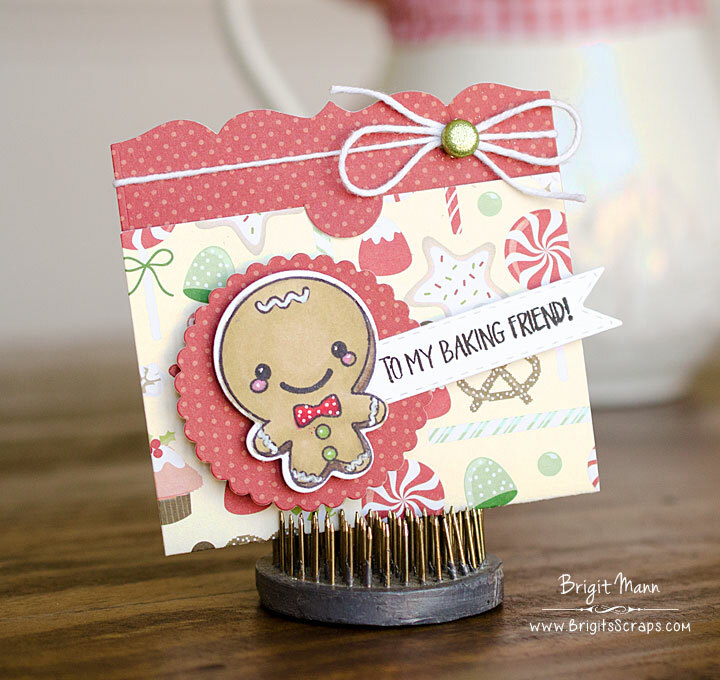 Love the paper you used and the cute gingerbread! Cute paper and that gingerbread man is adorable!